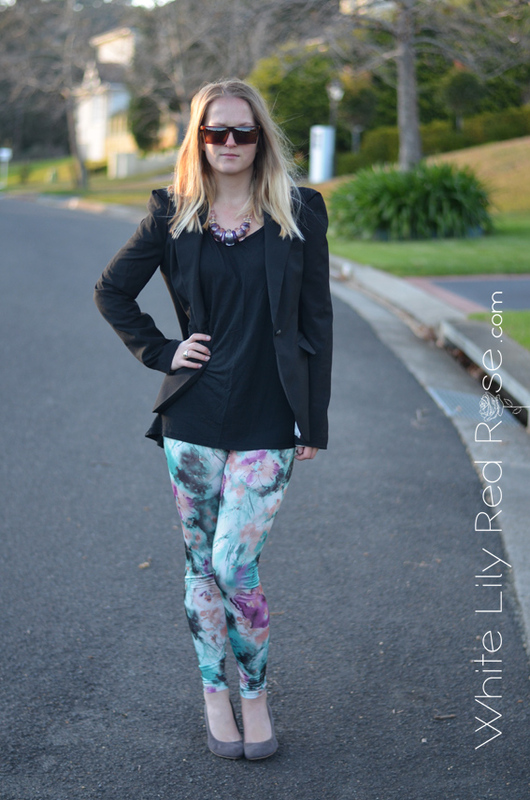 Wearing: Vine Apparel leggings, Oneoneseven tee, Zara Blazer & Vintage necklace. Source: All photos are my own / Aaron Daniel Smith Photography. Please credit my blog when used. 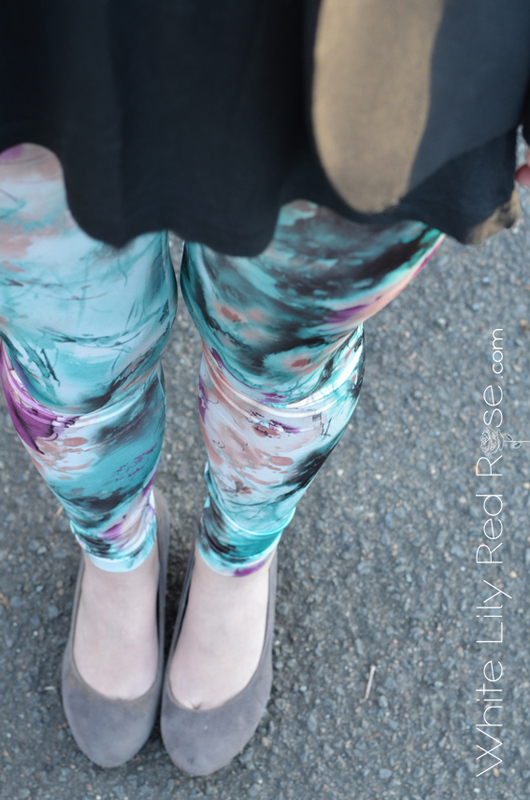 Today I'm finally sharing some awesome printed leggings I've been wear so much of lately. 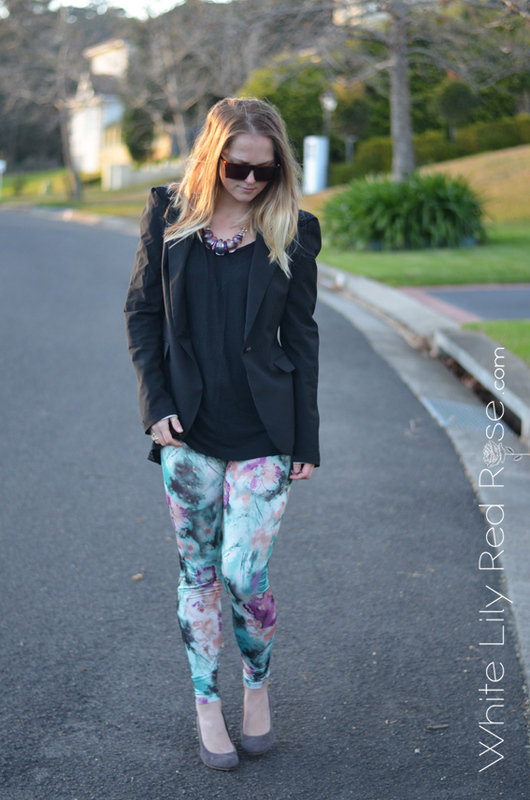 These fun and exciting leggings are the latest edition into my ever growing wardrobe. 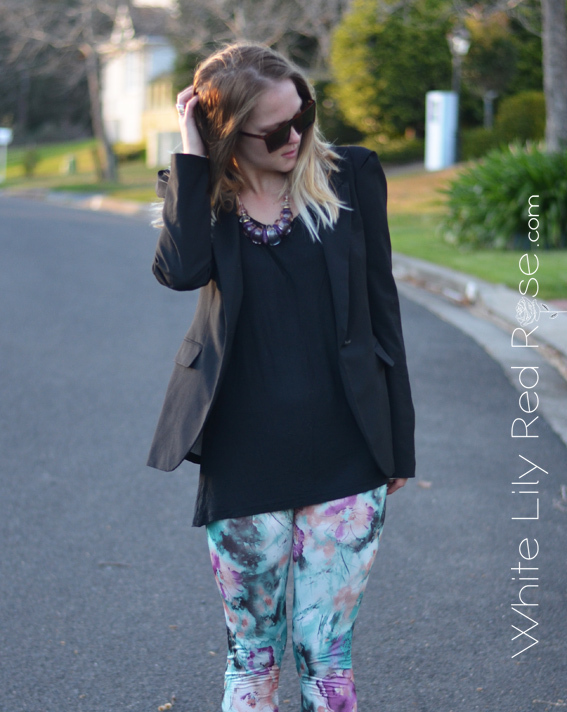 Leggings in general are my daily go to pant, which have long replaced my denim jeans. I'm always excited to see new colours, prints & fabrics which many of them I own. I've matched these leggings with a basic tee and structured blaze for a dressier look and added a vintage necklace (yes mom I did steal this from you, thanks again!). 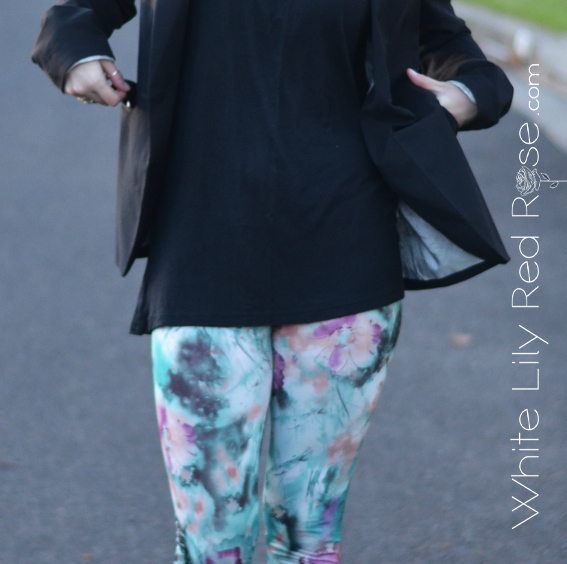 These leggings plus more prints are available at Vine Apparel. 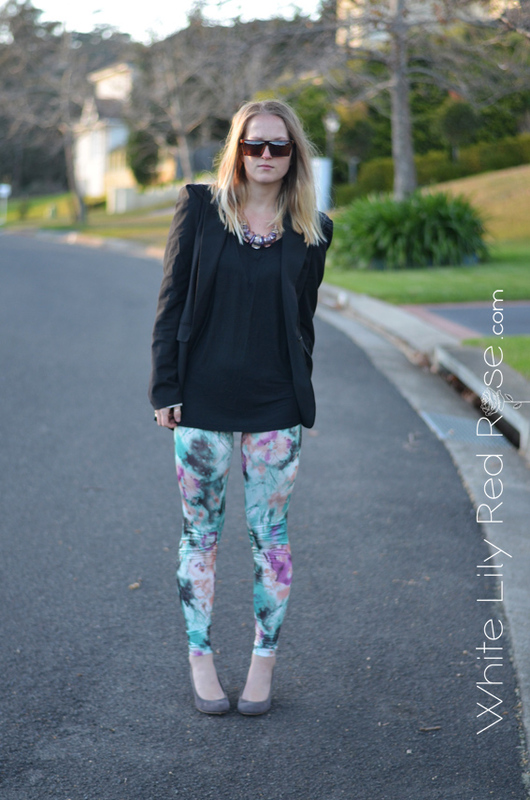 love these leggings, some of the styles out at the moment are so intense but these are just gorgeous.